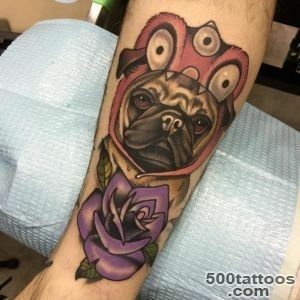 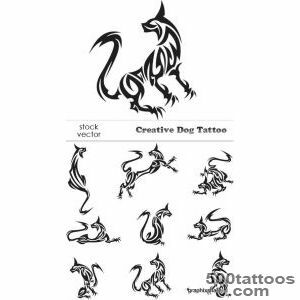 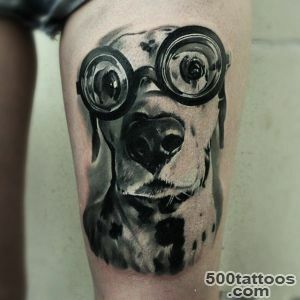 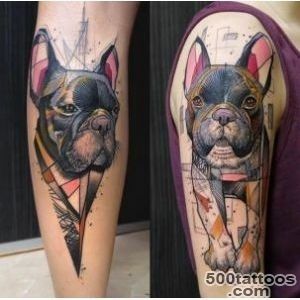 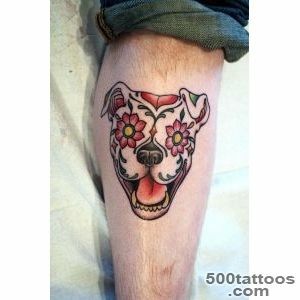 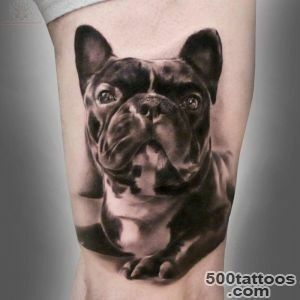 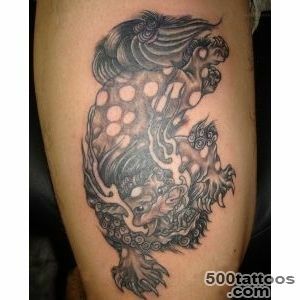 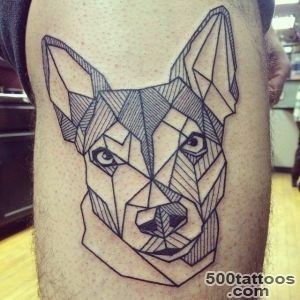 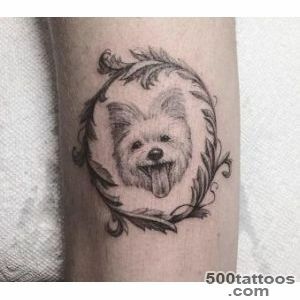 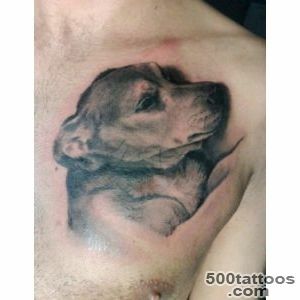 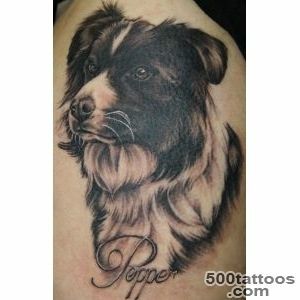 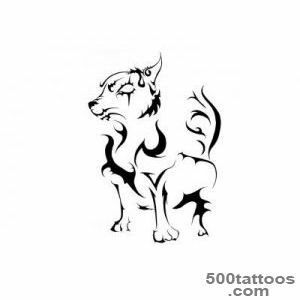 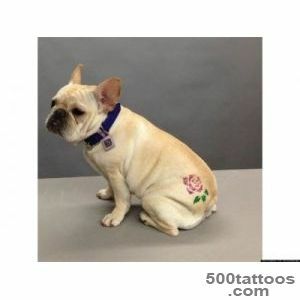 Tattoo dog - one of the most popular men's tattoo . 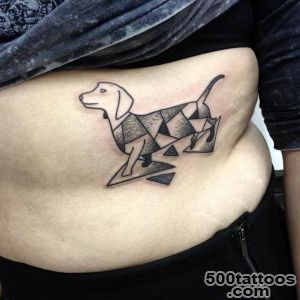 Its meaning depends on what breed of animal shows . 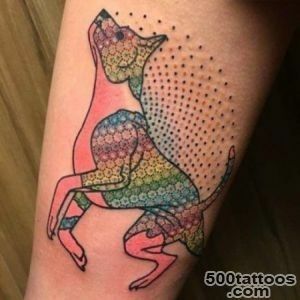 If a service dog ( terrier , Doberman ) , the tattooed is a powerful talisman for the owner , because the dog is truly man and protect him from the invasion of uninvited guests.Sketch of tattoo with the image of a dog performed often in color , and the image is applied to the shoulder, hip , chest or back. 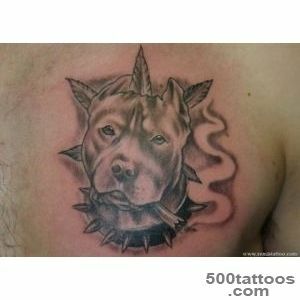 In this case, represent the animal with snarling mouth , running or throwing on the offender. 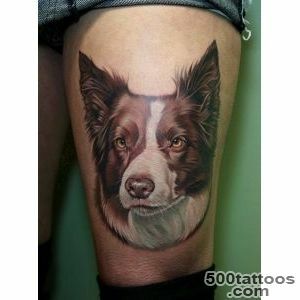 Tattoos depicting Shepherd has a friendly tone and tells the story of the best qualities of its owner : loyalty , strength and durability .Dog - a strong and faithful beast , and among different peoples has always been considered one of the best human companions - hunting , war and peace . 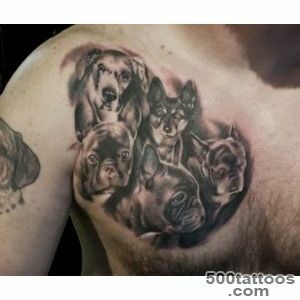 In Greek mythology Cerberus the three-headed escorted souls into the kingdom of the dead. 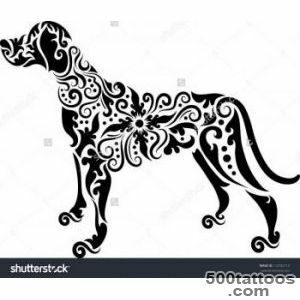 The ancient Slavs believed that the dog can predict future events ,and Christian and Celtic culture , it is a symbol of loyalty , friendship and sincerity . 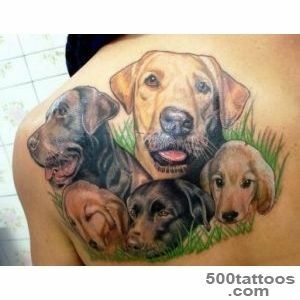 American Indians believed that the dog can cure a person , so her image is also endowed these properties. 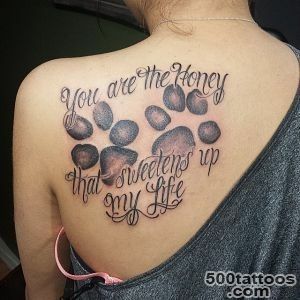 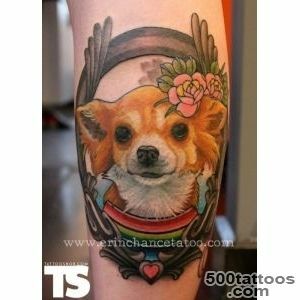 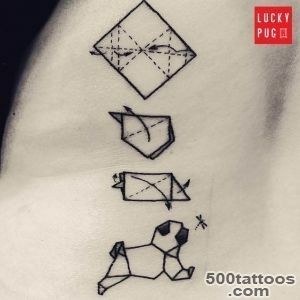 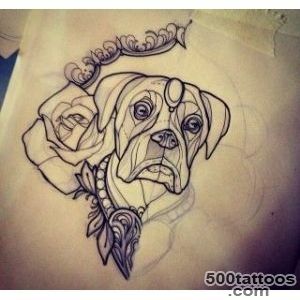 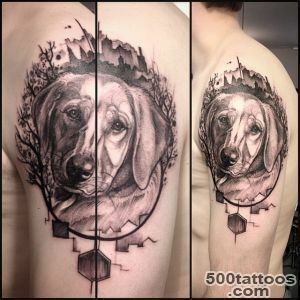 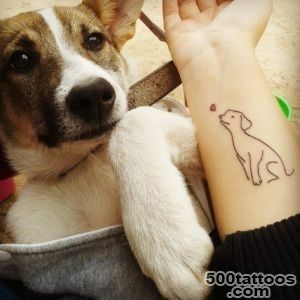 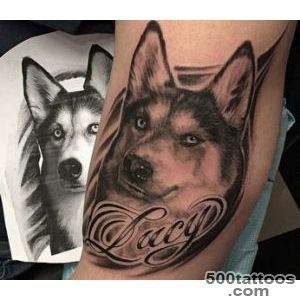 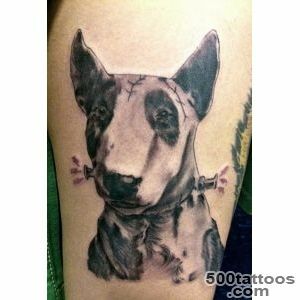 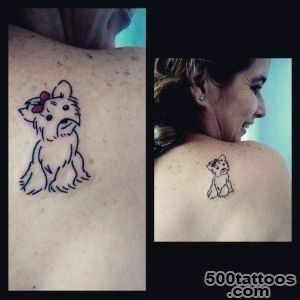 Another value of dog tattoo - the memory of the living or deceased four-legged friend .Sentimental men and women doing similar tattoo pattern and the nickname of your pet . 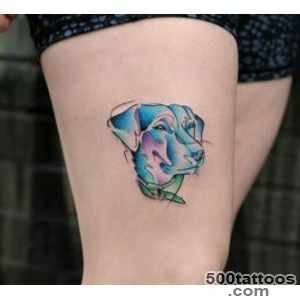 So I came and Miley Cyrus , the famous singer , beautify the image of the body of his dog Floyd . 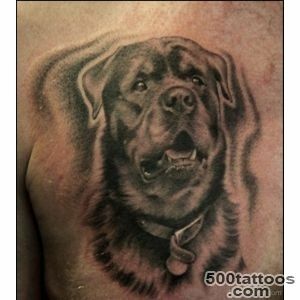 According to legend , black dog guarded the entrance to the underworld , so its image symbolizes the magic and the curse . 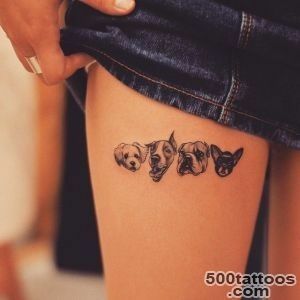 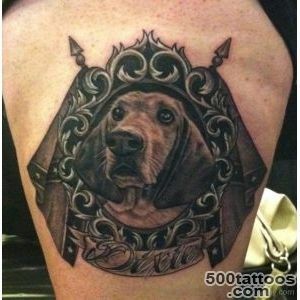 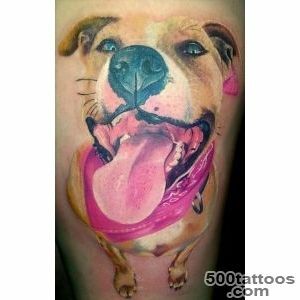 Despite the belligerence of the beast ,girls also choose for themselves with the dog's tattoo pattern . 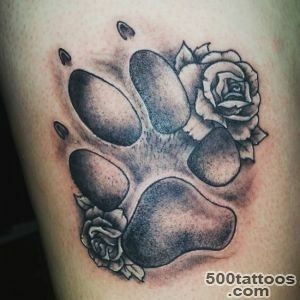 But these touches the tattoo rather than frightening ! 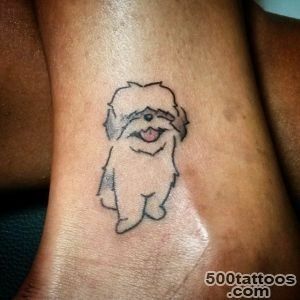 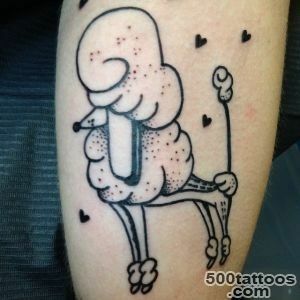 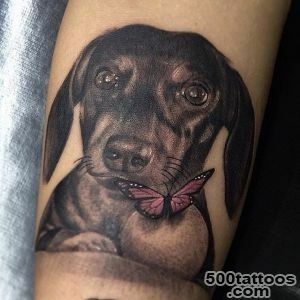 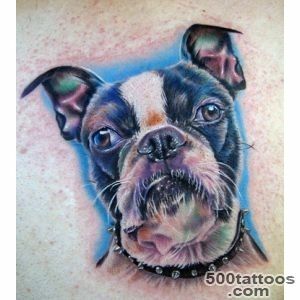 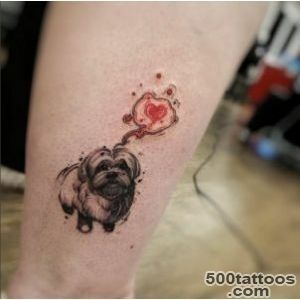 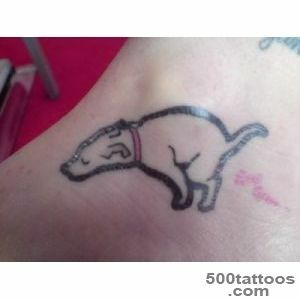 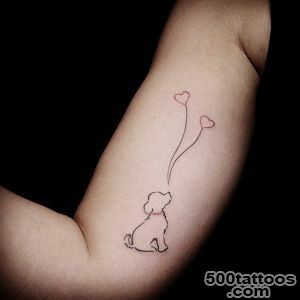 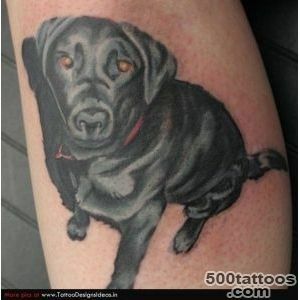 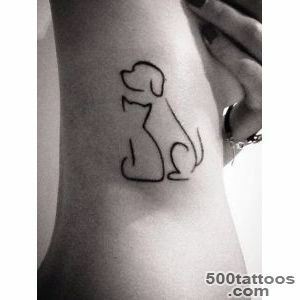 Very young girls choose tattoos depicting a touching and funny dogs : dachshunds , spaniels or little helpless puppies . 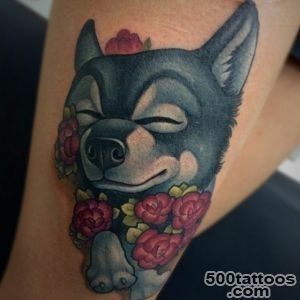 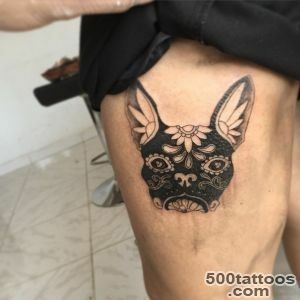 Smiling , decorated with bows - they are very friendly and tenderness.Popular in recent years has been to carry out the tattoo dog " with the effect of 3D» - the image is so realistic that it seems that the dog was about to jump ! 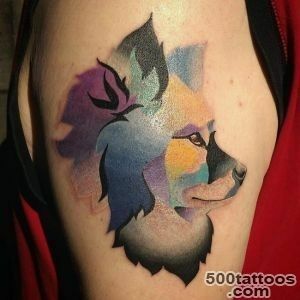 This sketch is very bright and multicolored , by definition not inferior pictures .